Now in its 16th year, the Hotel Management Awards recognises hotel and accommodation excellence in Australia, New Zealand, Fiji and South Pacific Nations. 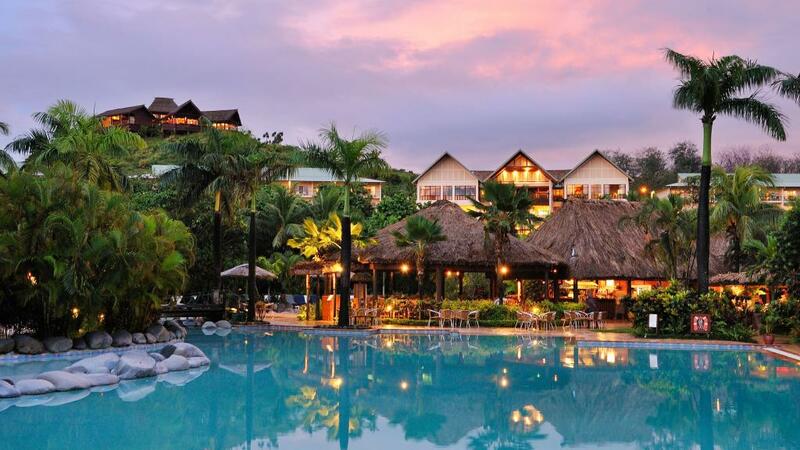 Offering 5-star accommodation, The Outrigger Fiji Beach Resort is known for its state-of-the-art facilities, luxury accommodation and stunning beachfront setting surrounded by lush exotic gardens. A popular destination for couples and families alike, the Outrigger Fiji Beach Resort has something on offer for everyone. General Manager of the Outrigger Fiji Beach Resort, Mr Russel Blaik, accepted the award stating that the achievement highlighted the incredibly high standards of service, accommodation and range of dining experiences offered by the resort. Additionally, the Outrigger's onsite day spa, Bebe Spa Sanctuary won the 'Pevonia International Customer Service Excellence' award. Bebe spa manager, Ms Praveena Dewan believes the achievement was due to the Outriggers skilled spa therapists, excellent products and the spa's panoramic beachfront setting. "These additional awards show that we at Outrigger Fiji are not prepared to rest on our laurels but continue to strive to provide the best holiday experience for our guests," said Mr Blaik. The Outrigger Fiji Beach Resort has received several accolades in the last few years, and as such has developed a reputation as Fiji's premier luxury family friendly resort. Earlier this year, The Outrigger Fiji Beach Resort won an award for 'Best Deluxe Accommodation' for the third year running at the ANZ Fiji Excellence in Tourism Awards. Additionally, in 2017 The Outrigger was named the Best Family Friendly Resort for the second year in a row at the readers choice survey by Holidays With Kids Magazine. With several bars and restaurants, complimentary activities and kids club available, it's no surprise that the Outrigger Fiji Beach Resort is an international award winner and is the perfect choice for accommodation on your next Fiji holiday.